NOT CHECKING THE DEFAULT EMAIL SENDER NAME AND SUBJECT LINE: Popular brand is the email’s best friend. If you are a popular brand then people will recognize you by your brand name and it will support your actions. There are different category lists, so the email will go from different email ids. Sometimes we forgot to change the sender’s email id and name. This directly affects the open rate. Sender name and subject lines determine the open rate. What are the mistakes that happen in subject lines? Do you check the subject line length? When you have to personalize the subject line, we add a dynamic field into it. This is where the mistake happens when we do not insert the proper code or the dynamic field doesn’t work. In this case, the email can go with the wrong dynamic field or even without it. We can fix these mistakes by sending a live campaign to team members to crosscheck if everything is working properly and if the subject line doesn’t look too long. NON-FUNCTIONING OF DYNAMIC TAGS: We have to be very careful here because this is the most important element of a successful email marketing campaign. Any campaign may fail due to this simple mistake. Sometimes the software doesn’t pull up the dynamic field or it may pull up a wrong field. We can fix these mistakes by sending a live campaign to team members and check if the dynamic data is being properly pulled up or not. AVOIDING CROSS BROWSER AND EMAIL CLIENT COMPATIBILITY CHECK: Emails can’t look the same on all email clients. If you design an email template in your own html code then it will face compatibility issue with different browsers and email clients. According to statistics, 34% people check their emails in outlook and most of the times the emails don’t look too good. One major drawback is that people have to manually right-click and download images in outlook. Browser compatibility can be fixed by using a responsive coding technique and email client issue can be solved by following the guidelines and testing emails in third party software such as Litmus or Email on Acid. IGNORANCE OF CAN-SPAM ACT: If a campaign gets marked as spam or they are reported as abuse, then we are losing people from our lists. We can fix this by following can-spam act or we need to add the company name in the ‘from’ field, company address at the bottom of the email and an unsubscribe link. AVOIDING HYPERLINKS TESTING: We use hyperlinks in call-to-action, email ids, unsubscribe, ‘open in browser’ link. Sometime we miss out on placing a hyperlink on an image or any clickable element in the body. Wrong links can take the visitor to a wrong destination which will have a very bad impact on our subscribers. We can fix this error by actually clicking each hyperlink and checking if it’s working properly. We should continue to host landing pages or email links for around 4-5 months so that even a subscriber who opens the email months later can check that email. INCORRECT CONTACT NUMBER: When you want to measure the performance of a campaign by calls, email marketers use third party numbers – toll-free or local. There are chances that the email template and landing page designer might put the wrong number. We can fix this by manually checking the contact numbers on both email templates as well as on landing page. NOT VERIFYING THE DEFINED CALL-TO-ACTION: Call-to-action is one of the most important elements of a successful email marketing campaign. Let me tell you some of the silly mistakes one can make. There are chances we might forget to add the destination link (landing page or website) on the call-to-action button. Or we might forget to hyperlink the contact number and/or email address. I have even observed email marketers who insert a broken link on the call-to-action button. By clicking on the actual call-to-action button and calling the actual number using a cellphone or tablet, we can fix the call-to-action mistakes. LACK OF ATTENTION TO THE CONTACT FORM: In an email campaign where we use contact forms on the landing page to capture leads, we might forget to add some important fields or we do not test them. Such mistakes happen mainly due to carelessness or deadline pressure. We can fix this problem by testing the contact form on live landing pages. INACCURATE LIST SELECTION: Sending emails to an irrelevant list can reduce the open rate and conversions. 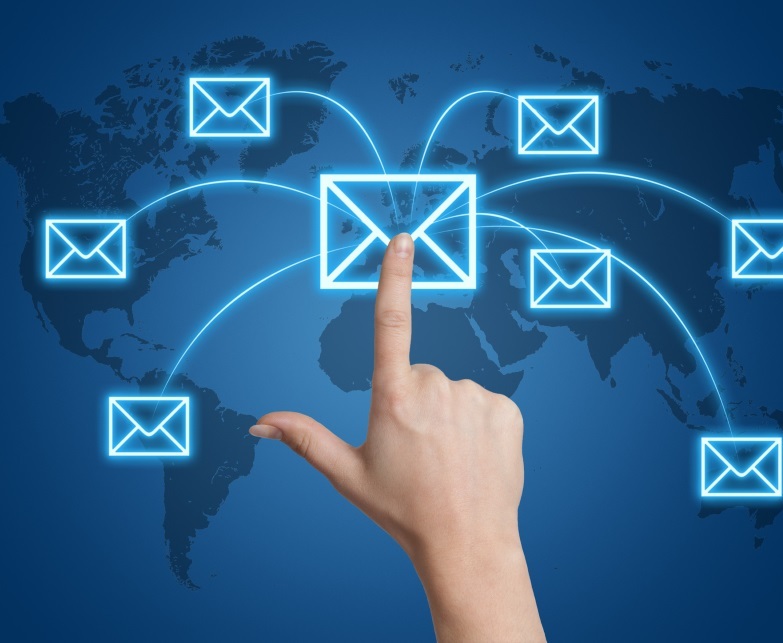 Each and every step is equally important for an email campaign’s success. Before sending a campaign, every marketer must have data segregated into different lists. Lists can be categorized as per interest, product, service, response, etc. Selecting the right list is also a very important action. If we select the wrong list then we can lose the market goodwill and it will dampen the company’s image. People might even end up unsubscribing. We can fix this issue by selecting a proper category of list and updating it. NOT CHECKING THE SENDER AND RECIPIENT EMAIL ID: Sometimes we forget to check senders and recipients email id. Most of ESP by default pulls up account email id. There are different types of campaigns that need to be sent from an account such as welcome email, Promotional campaigns, etc. So based on the category, we use sender’s email id. If we do not check the sender’s and recipient’s email id then the campaign might go from a different email id. By sending a live email campaign and replying to that email can fix this mistake. NOT UTILIZING THE BENEFITS SOCIAL MEDIA: All email campaigns should be shared on social media. There are some avid subscribers who like to share and forward content on their social profile. People often forget to add social sharing, forwarding button on their emails. Involving your social media team and relevant team members can fix this problem. Finally, the best solution to these common mistakes is to live test your campaign before executing. Before launching the campaign, we can send an actual email campaign to internal team members to cross check each element of the email. Hope you find this article helpful. If you need any help in managing email marketing campaigns for you or your clients business, feel free to contact us.